Just watched this film at the weekend and thought it was actually good, it presents a scenario which is very plausible and presents it in a near realistic manner except for some Hollywood cheese flying around but it’s fun to watch so I don’t really care. This film is super star studded so it would be unrealistic back in the 90’s not to have big action scenes and jokey scenes, plus a Morgan Freeman speech because they had Morgan Freeman. At the same time, ordinary people struggle to survive and you see a great outbreak story from the people who are to fix the problem and how dangerous their jobs can be. A handful of scientists struggle to prevent the destruction of a small town — and possibly the entire country — in this suspense drama. In the mid-1960s, a deadly virus is discovered in Zaire that wipes out an entire village in 24 hours. Government researchers are brought in to investigate, but the military opts to destroy the village rather than risk further infection. Thirty years later, Sam Daniels (Dustin Hoffman), an expert on contagious diseases, is called in when the virus re-emerges in Africa. A monkey carrying the bug is smuggled into the U.S., and a suburban California town soon begins to succumb to the illness. 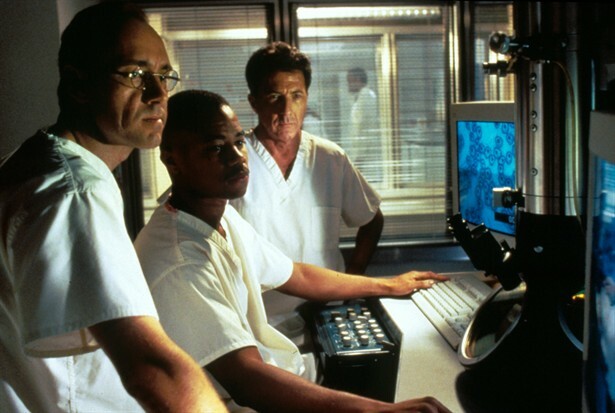 Sam scrambles to find an antidote with the help of his ex-wife Robby (Rene Russo), a Center for Disease Control researcher, and their colleague Casey (Kevin Spacey), while Gen. McClintock (Donald Sutherland) has his own reasons for wanting to use bombs to contain the epidemic, and Army surgeon Gen. Ford (Morgan Freeman) is caught in the middle. 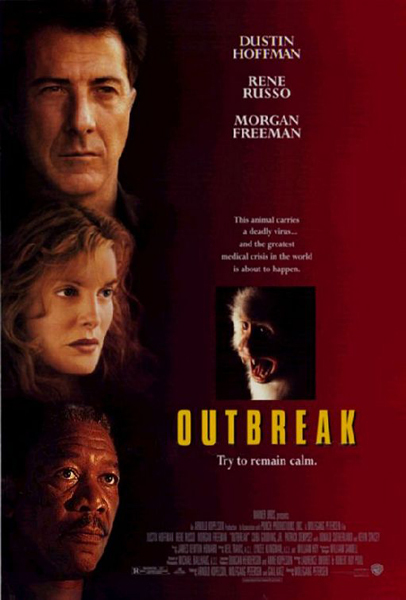 Outbreak was produced in the hopes of beating the film version of Richard Preston’s bestseller The Hot Zone (about a real-life epidemic) into theaters; script problems shelved The Hot Zone, and Outbreak had the infectious disease market to itself. The advice I would give to readers is to watch it and have fun because at times it can be scary and other fun. To start off let’s talk about the acting. The acting was actually pretty good and had a solid cast so I didn’t expect them to be anything less, Dustin Hoffman did really well and you felt for him as what was going on around him started to affect him emotionally. The main characters where very good as they normally are with their characters, from Morgan Freeman to Kevin Spacey they do a great job in their supporting roles which get more depth than most films give the rest of a cast but it works in this film. The story itself is pretty scary as it isn’t really that unrealistic as we know most governments have biological weapons stored somewhere and a story of one escaping and then mutating out of control really could happen and I think this is the films main selling point. Or it’s the characters, I am undecided. With the visuals I think they worked well from the sets which all looked really realistic to the action scenes which were done very well but would look weird in a film made today. The locations worked well and do seem to be in the places this might happen, military experiments in the forests of a third world country and then getting into a small town in the US which looked good. The sets of the CDC and the military quarantine areas are done with a great amount of detail and could easily be what they look like, plus it wasn’t over done like some films with the bio suits and labs all looking real rather than almost sci fi in nature. Strangely the best part about this film sometimes is the relationship between its main cast, between Daniels and his ex-wife to Daniel’s and Ford to keough and schuler. They did a great deal of character development in this film which helped you really care what happened to the characters. The best review I found would be either “Scary movie with realistic portrayal of disease. Hollywood happy ending, but very well done action chases, so it works.” Fred Topel. This review is quite right in that there’s a scary part but also classic Hollywood feel. Or “Scary, convincing and thought-provoking.” Rob Thomas. Use your brain and fear the possibilities this film puts in place. My favourite scene would be when there is a meeting between all of the heads of state debating on what to do in the town that’s infected and there is a rant from the leader of the comity saying that “if we do this, if we destroy this town we have to be unanimous and without doubt that killing these people is the best and only option we have”, then he throws photos of the towns people on the desk and says that “we need to burn these images into our heads and keep them there until the day we die”. Which I thought was really powerful stuff. I like your breakdown Tim. 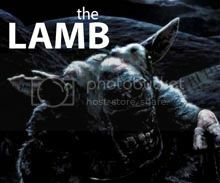 This movie is pretty disturbing only because of the possibility. I felt the same in Contagion.